Go to Forms > All Forms. A basic contact form will have already be set up for you or you can create a new form. Go to Appearance > Widgets. 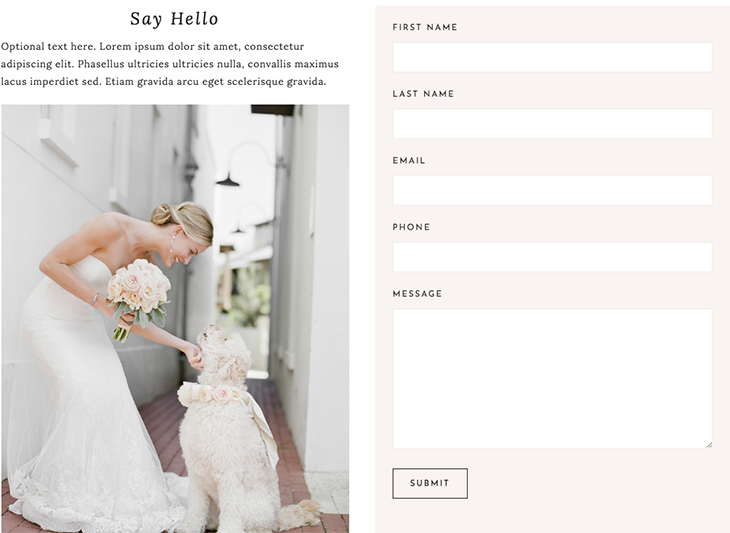 Drag a Custom HTML widget into the Contact Page - Right widget area. Paste your shortcode in the text box. Save. Drag a Custom HTML widget into the Contact Page - Left widget area. The widget title used in the demo is "Get in Touch." You can add any text, information, etc. you'd like to the widget. Save. To add an image to the left column, drag an Image widget into the Contact Page - Left widget area and upload your image. Save.